If you are used to using some Torrent client, it is recommended that you download Ubuntu 12.04 through a Torrent - particularly in the first days after the release! This would help decreasing the server load, your download might/will be faster than from a regular mirror and your download will be automatically checked for any possible corruption during download. Those who installed Ubuntu 12.04 during the development phase just need to install the available updates via the Update Manager and they would be automatically updated to the final release. I have been using Ubuntu 12.04 on my main computer since the first beta came out and I am quite pleased with how things have shaped up. 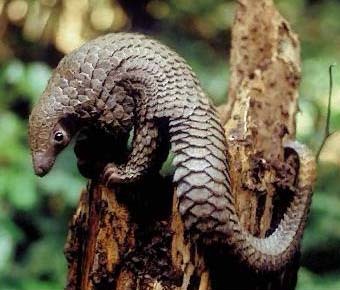 Being an LTS release, Precise Pangolin is as stable as it should be. There were some false crash reports during the Beta 1 development phase, but since Beta 2, that single issue has also solved itself. Boot times have been improving since the last couple of Ubuntu releases and Ubuntu 12.04's boot up is also quite fast, not to compare with Windows 7 in any terms, for that matter, of course. As far as hardware support is concerned, I never had any hardware issues with any of the previous Ubuntu releases and neither with this one. It automatically recognized and installed drivers for my Nvidia graphics card and HP printer. Though, I haven't been using wireless cards with Ubuntu, so I can't say if that has improved or not. I wasn't that big of a fan of Unity when it was first introduced on the desktop, but by now, I am quite pleased with its progress and have started feeling comfortable working with it. However, Ubuntu Precise's regular Unity isn't that lightweight as the classic Gnome 2 session of Ubuntu's previous LTS version, Lucid 10.04. This is probably because lots of new features have been introduced in Unity, as well as Gnome 3, for that matter, especially on the graphics end. So if you have graphics issues with the regular Unity, try using Unity 2D instead. I've been using several different applications on Precise, including media players, picture editing tools and VirtualBox, and never had any issues with any of those. Not that of a fan of Gnome Shell, but I've tested it under Precise just for fun and it runs quite better than under Oneiric for me. So, the bottom line, Ubuntu Precise provides a perfect balance between a usable, stable and productive desktop OS, and I guess I'll happily stay with Precise and its Unity desktop without thinking of switching to any other desktop for the next year or so, despite the fact that I was already thinking of switching to MATE or Cinnamon, as I was quite displeased with Oneiric a couple of months ago.